Health Screening at Heavenview - FREE! 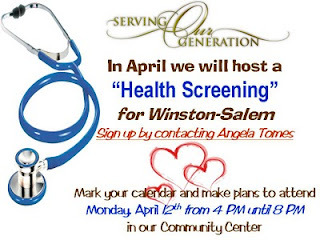 Email Angela to sign up to participate in this FREE PUBLIC Health Screening with Forsyth Hospital. 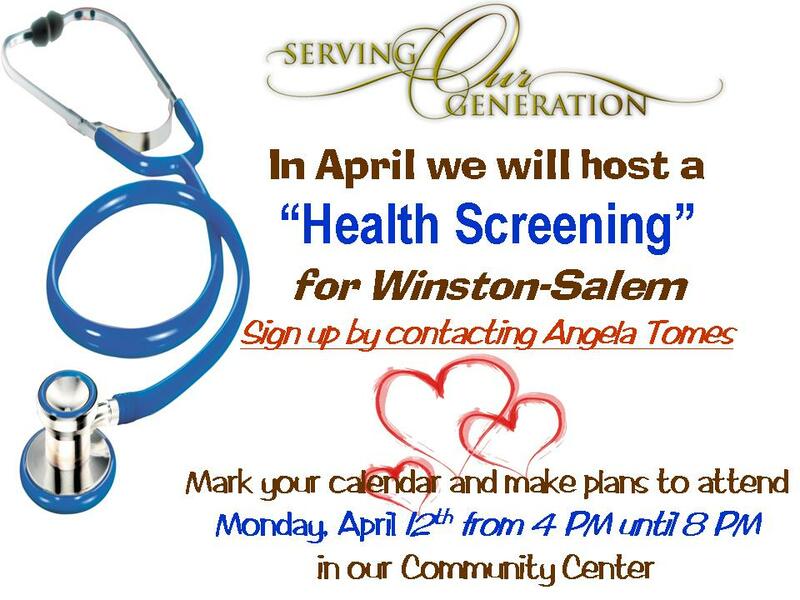 The Screening will take place on Monday, April 12th at 1410 West Clemmonsville Road in Winston-Salem, NC. Please call 336.784.8735 for more information.